John Altmann spent 20 years as a recording engineer, recording local San Francisco Bands and running his own studio in San Francisco, John Altmann Recording. 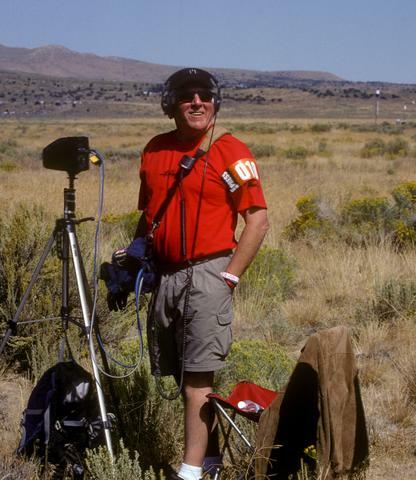 He’s also the owner of Aircraft Records and has spent the last 36 years recording airplanes. DS: Hi John, thanks for joining us today. Can you tell us about your background in audio and recording and how you came to start recording airplanes? JA: I think it was my Mom, back when I was a little kid up in Santa Rosa. I was born in 1942 right in the middle of World War II, and she’d be pushing me around Santa Rosa in a stroller, and there were a couple of airports there that were military training bases. So all the while she was pushing me around in the stroller, these groups of World War II airplanes were flying around overhead. Sometimes we would take a Sunday ride and ended up at the end of the runway at this one Navy auxiliary airport near our home. I was not even in school yet. I was just a little kid. Navy pilots would be practicing landings, and we would park at the end of the runway, where they would be crossing right in front of us as they landed. I think those airplanes and mother love happening at the same time just did things to me. They took me to see Twelve O Clock High too. Have you ever seen that movie? JA: You ought to try it. It’s a beauty, with Gregory Peck. It’s beautifully done. That was an Academy Award winning movie from way back then in the late 40’s or 50’s. That sort of got that inside me. So I didn’t really realize, or I couldn’t really tell you that I liked sound then, but I just did. It’s really fun to do things in life that you don’t have to justify, they just turn you on so you do them, and you don’t question it because it’s part of your DNA. That’s sort of what happened to me with sound. My Dad said that because I like airplanes, I ought to become an Aeronautical Engineer when I went to college. I tried that and discovered that it just wasn’t for me. I was getting C’s. The good guys in class were getting A’s. So I tried that for a while. I transferred to Cal Poly in San Luis Obispo, and then to CSUSF, Majoring in Industrial Design. That got me into art, which led me toward sound. This was in the 60’s like ’62, ’63, ’64. I began to explore my creative instincts. Over in the neighboring Film Department, I discovered I could borrow these beautiful little Uher portable tape recorders. I really liked them. I had some kind of fascination with tape recorders. I don’t know where that came from. It gets a little fuzzy here, but a friend had this beautiful American Concertone tape recorder, a 3 motor reel to reel. When I saw it, I knew I had to have it. It was big and heavy and it looked like a 2/3 size Ampex 300. It had big shielded heads, direct drive motors, and large VU meters on it, and it just blew my mind. He sold it to me. I didn’t have anything to record, I didn’t have any microphones, but I really liked that recorder. Then I got another tape recorder, a Sony 770 reel to reel portable. Again, I just really liked the mechanics of the recorder. I didn’t know what I would record, but I sure liked those tape recorders. Parallel to that I started experimenting. There was a composer Karlheinz Stockhausen, who did Music Konkrete that I grew interested in. We called it electronic music in America. These were avant garde composers. Stockhausen did a lot of spatial stuff with moving sounds. Around the same time there was an outfit in San Francisco called Audium (at the time of this interview, Audium is still open to the public), and these two guys built this performance studio with speakers in a dark room. So you go in the dark room, and sounds move all over the inside of the room, and it’s all coming out of speakers, but you can’t see the speakers. That’s what they did. That was probably in the 60’s also. A lot of creative things happened in the ‘60s. That kind of blew me away too. So I started to see something form that I liked to do, and I really liked this idea as sound as a medium of sculpture, or creating objects with only sounds, and that’s the way Stockhausen did it. There’d be things happening between the speakers, and without any lights on, your mind created what it was or what it looked like. So it was just something that got me. At that time I was just getting out of school, and trying to figure out what I’m going to do with my life, and figure out how I’m going to make enough money to live. I went to work for the Mills College Center For Contemporary Music, which is still there. That was a place where avant garde composers worked. They had a 6 track reel to reel recorder, or a 5 track. Weird equipment. They’d go down to the surplus store and buy stuff and then build things. Then there was Bill Graham, remember him? In the 60’s he started a school to teach all the gentle people of San Francisco, about the music business. All the bands, Grateful Dead, Jefferson Airplane, and Sopwith Camel – those bands were in San Francisco. He thought that the predatory music industry was going to go in and take advantage of the gentle hippies. He was going to give them the scoop. So he set up classes in Music Production. He took over Lincoln high school for the summer and offered classes in music production, multitrack recording, music law, and the art and techniques of light shows. 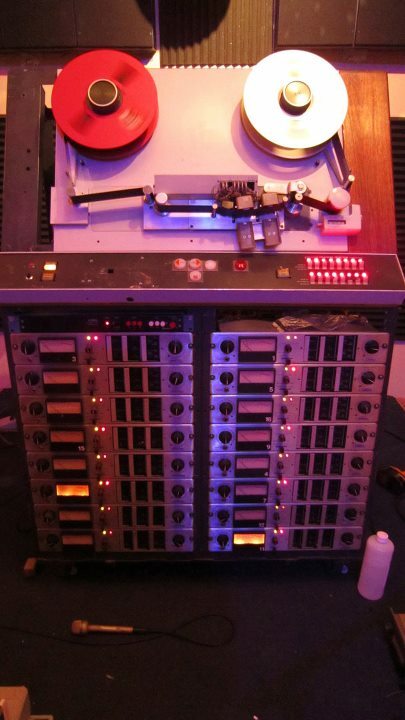 Multi track recording was just starting then with 8 and 16 track Ampex’s. One of the guys that he had as a teacher, Ron Wickersham, worked for Ampex designing analog recorders. Eventually he formed Alembic. He designed and built Alembic basses. 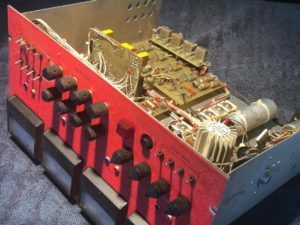 So I got to know him, and I had another friend that worked at Hewlett Packard, and I could get all of the parts free, so I decided to build a 4 track tape recorder. Right around then, Tascam came out with a 4 track tape recorder. So I used their deck and I built a set of electronics with Ron’s nightly assistance. That took a long time and it was sort of crazy, but it was moving me into audio and studio recording and eventually recording airplanes. Eventually I decided that I wanted to be a recording studio, and Colette (John’s wife) and I were living in a storefront in San Francisco, and all it took was saying “hmmm, I’ve got a storefront and we could live in the back. Rent’s only $125 a month. I could turn this into a business”. I was out of college at this time. There was also a street university called Heliotrope. 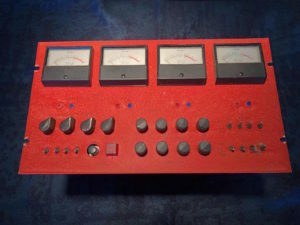 I started offering classes in getting the most out of a 4 track recorder. People would come in and I’d get half a dozen people every month or week or whatever it was, and I’d do these little classes. Slowly but surely I started collecting more and more equipment. Pretty soon I had my 4 track tape recorder and microphones. You could punch in with it. It had sel sync. For a while I did some work with blind people and made some wonderful friends. My studio became the Sound Lab for the Blind. We would pick the students up, bring them to the studio and talk about creative expression for blind people. 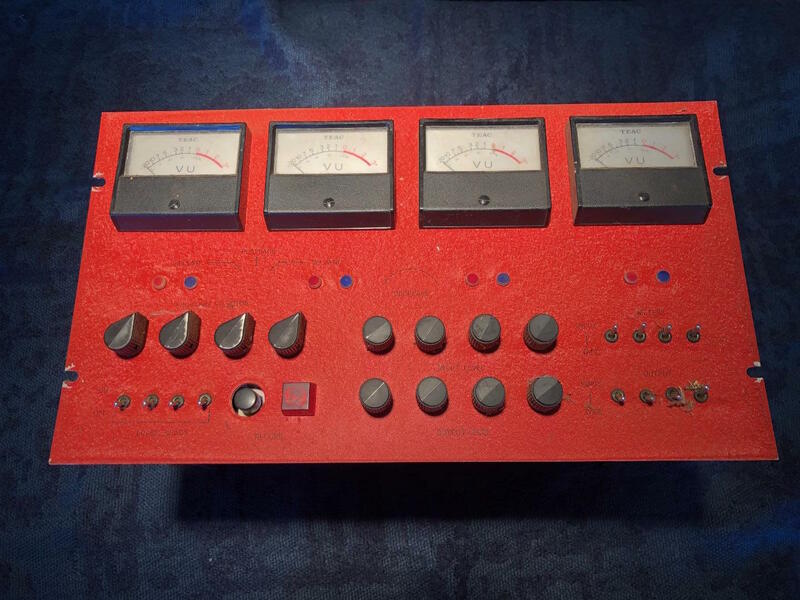 And then, through my friend Ron Wickersham, an opportunity came to buy the Grateful Dead’s Ampex multi-track recorder, HURD (modified by Agustus Stanley Owsley “Bear” himself). You ran across it in LA, didn’t you? DS: I did find it. It’s at Jime Studios in San Pedro, CA owned by Jimmy McGivern. He was restoring it. Before that, it spent 10 years at a studio in Hermosa Beach. JA: So anyway, I got that and they gave it to me for $100 a month and it was this beautiful hunk of iron. The Grateful Dead had it mounted in an Ampex video recorder cart. An Ampex video recorder was just the perfect size, and the cart worked perfect, so they put the audio recorder in that roll-around cart. They shipped it all over the world with the Grateful Dead and recorded all of their concerts live, and that was the recorder. DS: How did you hear that it was for sale? JA: Ron Wickersham and I became friends, and he told me about it. He had helped me build that 4 track recorder. Hang on, just stay there and I’ll bring the electronics (goes and gets the Tascam deck). 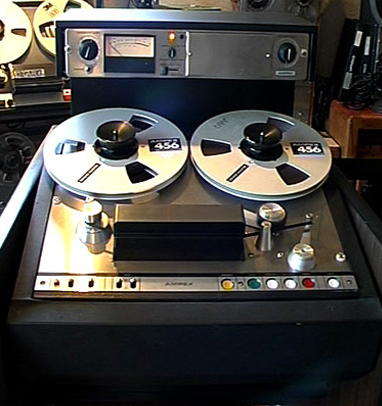 I got the Ampex MM 1000, HURD, because the Dead’s recording studio, Alembic was located on Brady Street in SF. They had to close the studio because of BART underground construction nearby. I had a great time owning the recording studio and I got up to being 40 years old. Something happens when you hit 40. You start thinking about how long you’ve been doing this, and how much you like what you’ve been doing, and what would you really like to do. Well I really wanted to go for a ride in an airplane. A WW2 fighter, the P-51 Mustang. So I asked around to some friends. They directed me to Bob Love who was a Korean War ace and also owned a P-51 Mustang. So I called him up and said “I’d like to go for a ride in your plane”. And he said “sure, come on over”. I had no idea what kind of microphone to use, I was going to be inside the plane. At that time I was working for Leo Kulka at his College for Recording Arts. Leo founded the San Francisco Chapter of the AES, and I think the first recording school anywhere. So in addition to doing engineering, I started teaching at that school. So he had all this stuff, all this equipment. He helped me buy my Sony PCM F-1 and accompanying portable video recorder. Anyway, he had a Sennheiser Binaural head, so I sat there in the back of this plane, with a Korean War ace, with this head on this stick and a Nagra, and he took me for a ride. I did the recording on a Nagra and I felt like a total audio geek. You know what the Sennheiser head looks like? It looks like a crash test dummy. It’s a plastic head with microphones that go in the ears. It sounded okay. I don’t think I used it. There were a lot of things it didn’t do. It made a lot of noise because the plane bounces around and stuff. The little plastic microphones that fit in the little plastic ears of the Sennheiser Head made too much noise, so I had to go for another ride with him. Then I got ahold of a Zeppelin, and I had a single point stereo mic, Sony, just a pro-sumer one. And that worked pretty well. The Zeppelin kept the wind from getting into the recording. So I recorded the P-51 again. I first started recording planes because it was just fun. When I did this recording with Bob Love, I had the studio then, and I was making records for clients. I thought I could make my own record of this. So I decided to do that. I had some recordings, so I interviewed Bob about what it was like in the cockpit of the P-51. I called it Check Flight P-51. When I finished recording Bob, he said “are you going to the big show?” And I said “what’s that?” And he said “the Reno Air Races”. I had never been and had barely heard anything about it. So then in 1984, I went to my first Reno Air Race. And that really was exciting, because they were really racing these hopped up WW2 aircraft engines, and they were really pushing them. They would run them hard enough that they’d throw a rod, and a rod comes through the case, they’d “may day”. They might crash. It was really exciting. At this point I had made Check Flight P-51, and I went to the Reno Air Racing people, and I said that I’d like to have a booth to sell these. So they ran me through the whole thing of doing that, and I had to go to the director of the race, and play him what I wanted to sell, and he had to approve it. I had to figure out how to do a booth and to play it, because they were records and it was out in the dirt. So how was I going to power it and do all that stuff. I had my studio at the time and I was teaching. I had some of the students from the school come up and I payed them to help us sell. So what was I going to play it on? It couldn’t be a record. At that time I had the Sony F1, and I had it’s recording, so I could play that because it was a video tape. I had to get a generator, so I bought a Honda generator and we put it in the back, and we ran this booth. We must have sold 10 records. It wasn’t a lot. The Junior Chamber of Commerce had a booth. That’s who sponsored us. Around 1988 CD’s happened. So we did a CD version of it. It was smaller and it was really easy to play, so it was getting kind of cool. Then Flying magazine found it and did an article about my CD, of Reno, my second CD. They were extremely complimentary and we had orders coming in. Every day I’d go down to the post office and we’d have 10 orders with checks in them. This was getting pretty darn exciting. He really gave a great article with pictures and everything, in Flying magazine. That’s a large circulation aviation based magazine and just bang – there it was. It had started. I was recording airplanes and I said “well what will I do next?” That’s how it all started. Around that time my friend, Keith Hatscheck, who at the time worked at the Music Annex tape duplicating and cd replication in Fremont, said I needed a marketing person. He introduced me to Gabrielle Beatrice of Perfect Pitch Music Marketing. We hit it off and started working together for a number of years. Gabrielle really helped me become a real company. She said I needed to work with real graphic artist. I had to redo all the CD artwork. She taught me about the importance of CD inventory management, about how to write “sell copy”. She was indispensable. During our best year I think we sold over $150,000.00 worth of CDs about airplane sounds. I wasn’t going to get rich, but hey…. Just to summarize. I went from the cassette recorder to the Sony F1 which was digital recording. I went over to REI in Berkeley. There was a guy that was there who made backpacks. So I brought my equipment in to show him the size, and said “I need a backpack to carry this over my shoulder, and strap it to my waist, so that I could run with it”. I wanted to be able to just hit the record button, and have the microphone in my hand, and I could run. There was also another guy at the air races doing audio recording with an Ampex 440. When you’re recording at Reno it’s out in the desert. It’s just open desert. They have telephone poles there with a 50 gallon drum on top for each pylon, so that the pilots can see it and know where the course is located. I’m standing underneath the pylon right where he makes the turn. It’s unbelievable. It’s 4,000 horse power coming by at a telephone pole’s height from my head, doing over 450mph. It was unbelievable what it sounded like. Even on my first record, my wife was with me, and she says “holy cow, it looks like he’s going to hit us”. So that’s how this sort of progressed. When I got started in the 80’s going to the Reno Air Races, I decided that I needed to officially get out to those pylons every year, and it was worth almost anything. So I had this company AirCraft Records and I asked for press credentials. When you get press credentials, many recording location opportunities become available. I had to show them what I was doing, of course. I was selling through the Reno Junior Chamber of Commerce at the Air Races, but not much. We tried to sell at other Air Shows. People would put the headphones on or listen over the speakers to our airplane sounds. Well as you can imagine, there were a lot of other real airplanes flying at an air show. Air show attendees and their families were waiting for the music to come on over the headphones. They didn’t expect that the sounds coming over the headphones or speakers would be airplanes. That’s what we were up against with the general public on this. We ended up focusing on shows where more diehard aviation fans showed up. Two come to mind; The National Championship Air Races in Reno and The Experimental Aircraft Association [EAA] Airventure week long event in Oshkosh, Wisconsin. It never occurred to me at all about film sound at this point. I was actually rebelling against the way aircraft sounds were/are depicted in movies. So I had to figure out some way to attract people to buy these. So we eventually got much better at booths at Reno and EAA. I got an NS-10 sound system, and those sounded really good, and I had a subwoofer. People would walk by our booth and look around for the airplane – and then realize that the sound was coming out of our speakers. This was wonderfully fun. It usually resulted in a big smile and maybe a sale. This was between the 1980’s and 2013. That’s how long we sold CDs at airshows. And we started having a following. When the internet came along, early on I set up a website. I was able to sell them there. We advertised regularly in magazines to the aviation community, and people were buying them. Now I have 13 CDs of all different kinds airplanes aimed at people who, like me, get chills and sometimes tears when they hear certain airplane sounds. really great history here- the Checkflight Series is truly legendary work. Thanks Charles Maynes! I agree, when I was typing it up, I was thinking “this is a great history of the recording industry in Northern California”. John Altmann was my first recording teacher at Sacramento City College in the early 2000’s.